"Happy Midsummer Day!" exalted Carver, coming into the sleeping quarters where Rimmer was brooding in his bunk and Lister was still sleeping. "Be quiet! He's still sleeping!" whispered Rimmer. "It's time for him to get up." "Why? No - I've got a better idea. Let's go turn on the fire alarm, then return here and act as if nothing happened." "No." She went over to Lister's bunk. She climbed up the ladder and got her mouth close to Lister's ear, then shouted "Red Alert! Red Alert!" Lister jumped right through her off the bunk, and out the door. Rimmer and Carver smiled at each other as she got down from the bunk. "He's up now," she smiled. "What were you saying about a holiday?" "It's Midsummer Day - Beltane, as the Ancient Celtics called it." "So? What's the significance of it?" "On Earth, it's the day of the Summer Solstice." "Oh. So what are we doing today?" "Once I calm down the others, we're going to get a party together." "It's David's favourite form of interaction - you'll get used to it." "I already am used to it." "It just seems like such a silly thing to celebrate - the direction of the sun on a dead planet three million years away." "First, let's get the others calmed down. They may not appreciate that little stunt of yours." They found the others yelling at Holly about her false 'Red Alert' in the scanning room. "Didn't you hear the 'Red Alert'?" asked Lister as they sauntered in. "What 'Red Alert'?" asked Rimmer, eyes full of innocence. "Yeah, what 'Red Alert'?" Carver looked even more innocent. "The one that woke me up!" "Sure you weren't dreaming, Listy?" asked Rimmer. "That's what it was!" yelled Cat. "I'm sure that is correct!" smiled Kryten. "So if it isn't a Red Alert, why are you all here?" asked Rimmer. "Didn't Holly tell you? I guess she didn't - you aren't even dressed!" Rimmer looked down to see he was still in his pyjamas. Frowning, he said, "Holly - take care of this!" He was back in his usual uniform. Holly came on the screen in the scanning room. "It's there - and coming straight towards us," she smiled. "What? What's coming towards us?" "What kind of ship? A UFO, I hope." "It's an Earth ship - American, circa 2005 A.D. - called The Star Challenger." "The Star Challenger - wasn't that the first interstellar shuttle?" asked Rimmer, thinking hard. "How're we going to find out?" "Easy," said Kryten. "Holly's putting a tractor beam on it - it should come into the cargo bay in about an hour." An hour later, they all watched as the silver shuttle did a soft, automatic landing on a shuttle pad. "Is there anyone on board?" asked Cat. "Can't tell," said Holly. "No living humans. But the mainframe's operational." "I know! That was the first ship to use stasis booths!" cried Carver. "Let's explore!" cried Lister as the shuttle's engine stopped. Lister opened the doors and the others followed behind them. The ship looked as if it had been deserted for a long time. It was running on autopilot. To their horror, they found two crew members, shot to death (according to Kryten), just skeletons now, slumped over the control panel. "I can't take this!" cried Rimmer. "Who's coming with me to find the stasis booths?" asked Carver. "We'll all go," said Lister. They followed Carver around a corner and up some stairs. There were four stasis booths. They were occupied - two with women, two with men. "Brutal!" exalted Lister. "Let's get them out!" cried Cat. "Agreed," said Kryten. "Let Lister do it. According to Holly's databanks, neither mechanoids nor holograms were widely known in 2005 - and, of course, there were no Cats." "O.K., I'll do it," smiled Lister. The rest went back to what they were doing before. Lister opened each booth in turn. The people stepped out of the booths, dazed, and followed Lister like zombies back to the living quarters, where the rest joined them one by one. Lister had started serving them coffee, when Cat slunk in. "So these are the crew?" "Who is he?" asked a muscular man. "I'm the Cat. Who are you?" "I am Commander Ronald K. Concini." "Nice to meet you, Ron." "I am Lieutenant Mary P. Wadsworth," piped in the older lady. "I'm just a teacher along for the ride," chirped in the younger woman. "My name's Kathy Richardson." "Nice to meet you, Kathy Richardson," smiled Lister, handing her the coffee. At that moment, Kryten walked in. "Who's he?" shouted the remaining man. "That's Kryten. He's a mechanoid," said Lister. "What's a mechanoid?" asked Ms. Richardson. "A very sophisticated robot," answered Rimmer as he entered. "And who is he?" asked the still unintroduced man. "I'm Arnold J. Rimmer, at your service." He nodded at him. "And Charlotte C. Carver, also at your service." She came in behind him and looked over the crew. The man held out his hand. "My name's Captain Eugene M. Michelson." "Nice to meet you, Captain Michelson." Lister took the man's hand. "Guys - this is Commander Ron Concini, Lieutenant Mary Wadsworth and Kathy Richardson, a teacher." "When did you leave Earth?" asked Rimmer. "May 15, 2005. How long have we been in space? And what does the 'H' stand for?" asked Captain Michelson. "You are currently in the year. . ." began Rimmer. "Don't tell them! They'll go nuts!" screeched Lister. "Let's just say it's been a long time," smiled Carver. "What year is it? Come on!" insisted Commander Concini. "O.K., man. You know it, Rimmer - I've lost track." "Yes. It's the year 3,002,185 A.D."
The women fainted and the men looked woozy. "Are you serious?" asked Michelson after a long pause. Rimmer nodded. "You didn't answer my other question?" Rimmer looked pleadingly at Carver, who smiled. "The 'H' stands for hologram. That's why we can't shake your hands." "You can't touch anything?" asked Ms. Richardson. "How can you live like that?" asked Richardson. "Easy - when there's another around." Rimmer went over to Carver and they held hands. "You can touch each other?" "Enough about us." Rimmer desperately wanted to change the subject. "Where'd you take off from and when did you go into stasis?" "Oh, we took off from Cape Canaveral in Florida. Went into stasis a month later." "So you still see it as 2005?" "They were in stasis for over three million years - more than me - why?" "What about those dead crew members we found?" "We found two human skeletons. They died of gunshot wounds in your control room." "And First Officer Bobington!" cried Concini. "They were supposed to get us out of stasis," explained Wadsworth. "So what do we do?" asked Michelson. "You could stay with us," suggested Rimmer. "That'd be nice!" smiled Lister. "But when did you go into stasis? And what do they mean when they say they're holograms?" "I went into stasis in April of 2181." "You're almost 200 years ahead of us! We'd feel silly among you," said Concini. "He's probably right," pointed out Kryten. "But what else can be done?" "You're in luck!" cried Holly. "Who's that?" The crew of the Star Challenger looked around. "There," pointed Rimmer. "That's Holly, our computer." "What is it, Hol?" asked Lister. "There appears to be a timehole nearby. We'll be at it in three hours. They could go through that." "And end up where?" asked Lister. "According to my ultra-long-range-scan, it appears to go to the Andromeda system in the year 2007." "Sure - if we can get them in there!" cried Rimmer. "You're right - I'm going to have to hook up with their computer." Three hours later, they saw the timehole. It was gigantic - hard enough to keep their own ship out of it. Holly backtracked and orbited around a planet a safe distance away. The four people from the far past entered the shuttle. Holly navigated them as the others in the Starbug escorted them to the edge of the anomaly. "Good luck, dudes and dudettes!" screamed Cat through the comm. "Good luck to you too!" smiled Richardson. The ship went toward the anomaly. Then a great meteor shower hit. The Starbug flew out of the way. From a safe distance, they watched as the Star Challenger was pummeled against the side of the anomaly. They averted their eyes as it blew up. "Nice work Holly!" yelled Rimmer. "I thought you could do better than that!" screamed Carver. "You realize you just killed four people," growled Cat. "What was the problem? Why couldn't you get them away from the meteor shower?" asked Kryten. "Their system was too ancient. Their software was all in Assembly Language and C++++. Besides, their computer was so old it had gone awry. They hadn't a chance." "Couldn't you have done something?" asked Rimmer. "Sure - you could have let them stay here - not tell them how long they'd been in space!" "It's not my fault - they asked!" "And why couldn't Charlie fix up the systems to work right?" "I didn't know it was wrong!" "Just get out of my face, guys! Before I decide to erase you both!" 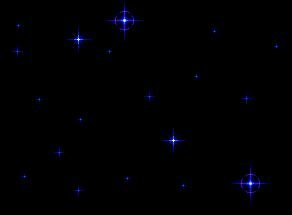 Scared, the holograms tiptoed to Carver's cabin where they spent the day yelling recriminations at each other, playing 'RISK', and finally making up and falling asleep beside each other on Carver's bed. Carver woke up alone. "Holly - where's Arnold?" she asked. "Asleep in his bunk, of course." "Why should Lister be mad at you?" "He's mad at us and you after what happened yesterday." "What d'you mean - nothing happened yesterday?" "I mean it was a usual, boring day." "What about the Star Challenger?" "Oh, no! What day is this?" "No - it is today." She rushed out of the room. "I've got to see Arnold!" She ran into the living quarters where Rimmer was sleeping. "Get up!" she cried. "What am I doing here? Let's get out of here - he's going to erase us!" "What day do you think it is?" "It's August 1st - the day after the worst day of my life!" "Holly - what day is it today?" "You said August 1st, didn't you?" "No, bonehead, I said June 30th!" "Ask her about the Star Challenger." "What d'you know about the Star Challenger?" "It was a ship that left Earth in 2005." "I mean, how it blew up!" "Oh, my God! It's yesterday again!" "Holly, what are you doing?" "Are you in an unending loop again?" "Because we're living yesterday again." In the midst of the conversation, Lister woke up, climbed out of bed, and got dressed. Then he came up to them. "What's wrong with you two?" Holly came on the screen. "Lister, Rimmer, Charlie - there's something you need to see! Come to the scanning room!" "Maybe we have a chance to change it," whispered Carver. They met Cat and Kryten in the scanning room. "There's a ship out there," said Kryten. "I know, the Star Challenger. The first interstellar shuttle. With four crew members and a working mainframe," smiled Rimmer. "How d'you know all that?" asked Lister. "Let's get it in here," said Carver. "And don't let it go," smiled Rimmer. The others looked at them like they were totally mad. An hour later they were at the spaceship. Rimmer and Carver ignored the shoot-out scene and got a skutter. They let the zombie-like humans out of the stasis booths, naming each in turn. With Kryten's help, they returned to the living quarters. "Why'd you do that, Rimmer?" asked Lister. "It's a secret," Rimmer winked at Carver, who winked back. When the people snapped out of it, Rimmer and Carver gave them a soothing speech about where they woke up. No mention was made of the shooting. "What d'we do now?" asked Concini. "I'd like ya to stay," said Lister. "So would I," said Rimmer. "Thank God!" cried Rimmer and Carver in concert. Lister looked at them as if they were real loonies. That evening, Holly spotted the rip in space-time and went around it. Unfortunately, that night the crew of the Star Challenger got in a large, violent fight over who or what the holograms really were. Michelson believed what they said and so argued for the truth. Wadsworth was sure they were ghosts. Concini was sure they were aliens and Richardson thought they were hallucinations. Rimmer and Carver tried to tell them the truth, but were ignored. Then the shooting started. By the time Lister, Cat and Kryten returned, all four crew members were dead. "You killed them!" he shouted at the holograms. "No we didn't!" cried Rimmer. "But they were fighting about you?" "Then you did it! I'm shutting you guys off. Goodbye guys! Sorry you'll have to miss the funerals!" To their utter horror, they followed Lister, Kryten, and Cat down to the Hologram Simulation Suite. When they entered the door, Lister pushed the buttons. They didn't even hear Lister say, "Good riddance!" The next morning, Carver woke up in her normal bed - still going! "I'm alive!" she cried. "He didn't erase me! It was all a bad dream!" Then she paused. "Holly, what day is today?" "Oh, no! It's happening again! Bless you, Holly, for your unending loops!" But Carver wasn't there. She rushed over to Lister and Rimmer's room and shook Rimmer awake. "Get up, man!" she yelled. "Be quiet! Lister's trying to sleep!" yawned Rimmer. Then he looked down - he was back again. "Hey! Look at me! I'm alive again! He didn't erase me!" He exultantly whispered as he danced around. "Oh, yes. And we're gonna learn the Star Challenger computer system." "So they don't get killed and we don't get erased." "We're on an unending loop. Even if Lister erases us, we're still here this morning! He can't really erase us - and I have a feeling that if we can successfully get the shuttle through the anomaly, we'll be back to normal." "But in an unending loop!" "No. If we can do that, I think we can beat the loop!" "But it could take years - decades!" "So be it! By the way, remember it's Beltane." "The Celtic Summer Solstice Festival." "Yes. The day of wonders. Ever read Shakespeare?" "Read A Midsummer Night's Dream?" "Good - consider this a Midsummer Day's Nightmare - and work to end it!" "Learn the languages. They're all on vid-tape." That morning they learned a little BASIC together before the craft was spotted. The people were killed on the Red Dwarf and the holograms were erased. A year of Midsummer Days later, they had mastered C++++ after being erased over 300 times. "I can't take this any longer!" cried Rimmer. "I can't either. I just hope we learned the right stuff." This time, the crew of the Star Challenger was taken to the anomaly. Once again, despite Carver and Rimmer's best efforts, they died. "What now?" asked Rimmer the next morning. "Keep going. We have to learn Assembly Language and program it into Holly." Two more years of Midsummer Days passed and they learned, waking up twice a week knowing that they had been erased the day before. Finally, the deed was done. Concini, Richardson, Michelson, and Wadsworth entered the Star Challenger. The Starbug escorted them to the timehole. This time Holly had all the necessary information in her steering system. They made it through the hole and back to their own time. "We did it!" danced Rimmer. "Yes, we did!" Carver slapped Rimmer's hand, then he pulled her in and they hugged for a long time. "What's with all this mushy stuff all of the sudden?" asked Cat. "We just saved a number of lives," said Rimmer. "Including our own. . ." whispered Carver. "We had to re-program Holly to get the ship to where it should be," smiled Rimmer. "You? You don't know anything about programming!" 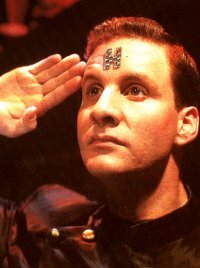 "I do now," smiled Rimmer. "You guys are too much!" "Who's for a party tonight?" exalted Carver. "Brutal! But what for?" asked Lister. "It's the Celtic festival of the Summer Solstice, also known as Midsummer," lectured Rimmer. Carver smiled. That night they had a wild party talking over all kinds of things with the others. "Tell me one thing," Lister asked Rimmer and Carver, "How'd you learn those extinct computer languages so quickly?" "We had a long time to do it," said Rimmer. "What long time? It's been less than a day." "Have you ever thought what it would be like if there was no tomorrow?" asked Rimmer with far-away eyes. "Yeah. Or if you couldn't be erased, no matter what you did?" smiled Carver. "What are you talking about?" asked Kryten. "What if we told you we have lived for over three years on June 30th." "The same day over and over." "You mean to tell me you've been living today for the last three years!" Lister was stunned almost to sobriety. "Yes. And on a third of those days you had the gall to erase us!" "No, we're not. How else did we learn those languages, all about the Star Challenger and the complete history of the crew in such a short time?" "I believe they're telling the truth!" said Kryten. "I think they are too," grinned Cat. "I know they are," said Holly. "You found the loop?" smiled Carver. "I believe I have," said Holly. "Go to it!" cried Rimmer. "I can't live like that!" "The same day over and over - and knowing I'd be erased by the end of two out of every seven days!" "That bad?" Lister was stunned. "They were killed on board over us almost every day," sighed Carver. "And I erased you 'cause of them! No way!" The holograms danced until early in the morning. They knew the change always took place at 4:00 A.M. So there they were snuggling in Carver's bed. The watch showed 4:01 A.M.
"We did it!" cried Carver, moving to stare from the clock to Rimmer. "Yes - we did! But how d'you know?" "I know because you're still here - and every other time you disappeared back up to your bunk!" "You know - you're right! But let's be sure! Holly - what day is it?" He frowned. "Did you say June 30th?" "No, I said 'August 1st', you smeghead!" "Oh, glory - we did it! Holly - get us dressed!" They went up to the Lister's and Rimmer's sleeping quarters and proposed an after-Midsummer party. No one objected.